Where Lost Happisburgh beach, Norfolk. Other Info Wearing a blue coat and a grey hood. So sorry. My condolences to his family. Nightie, night, Dexter, sleep tight, and have fun at the bridge with Bandit, who has also passed to the bridge, and is waiting to play. RIP+ God Bless x A|||Candle|||burns for you. Run free (HUG) X. One day when the time is right,. you will meet Dexter at the bridge, and he will show you the way. Forever together. Now with loving Angels. So sorry that Dexter didn't make it home. 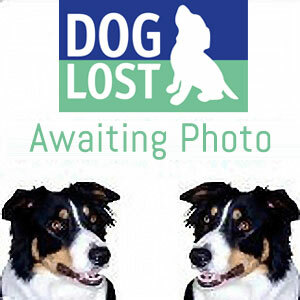 2019-02-12 17:52 DogLostHelen - Regional Co-ordinator East Anglia. 2019-02-12 14:21 DogLostHelen - Regional Co-ordinator East Anglia. Thank you dreena52, Dexter's owner is aware of this sighted dog. Now High Tide so hopefully he has made it off the beach somewhere. 2019-02-11 22:15 DogLostHelen - Regional Co-ordinator East Anglia. I will E-mail general information including contact numbers for vets in the area. 2019-02-11 22:04 DogLostHelen - Regional Co-ordinator East Anglia. Possible sighting around the Poachers Pocket in Walcott around 6pm this evening (11th of Feb). 2019-02-11 21:54 DogLostHelen - Regional Co-ordinator East Anglia. Details added to Dog Lost Norfolk and Suffolk facebook group and other groups in the area.